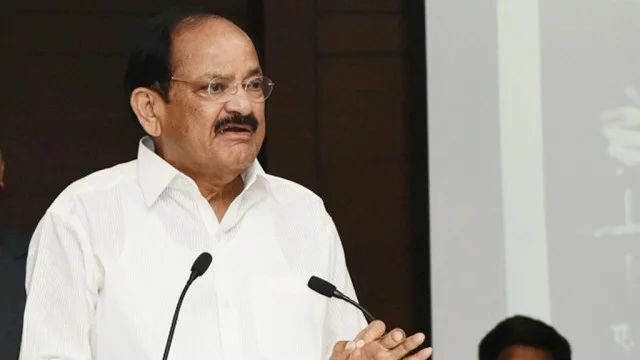 New Delhi, 26 Jun 2018 [Fik/News Sources]: Vice President M. Venkaiah Naidu on Monday cautioned against practising intolerance in the name of cow protection, Love Jihad and eating habits, saying such actions spoil the name of the country and people can’t take law into their hands. “… We need to guard against intolerance on the part of certain misguided citizens. We have been occasionally witnessing such words and deeds of intolerance by some citizens in the name of so-called cow protection, Love Jihad, eating habits, watching films. “Such incidents lead us to the point that individual freedoms can be in full play only when every citizen respects such freedoms of fellow citizens. Post-Emergency, the State apparatus would think twice before riding roughshod over the liberties and freedoms of citizens. But it is enlightened citizens who would enable fuller manifestation of such liberties and freedoms,” Naidu said. He was speaking at a function organised by Vivekananda International Foundation to release the Hindi, Kannada, Telugu and Gujarati editions of the book `The Emergency – Indian Democracy’s Darkest Hour’ authored by A. Surya Prakash, Chairman of Prasar Bharti and a veteran journalist. He also referred to the debate over nationalism and patriotism and wondered why some people had problem with even saying “Bharat Mata ki Jai”. The expression is not merely geographical and love for the land but it is love for all opinions, religions, communities and people. Naidu said India was secular not because of political parties but it was in the DNA of people and added that democracy and secularism were there in the Indian civilization through ages. He asserted that the core Indian values and ethos have no place for intolerance due to which all major religions of the world flourish in India. Naidu said it was time the “dark age of Emergency” became a part of the curriculum so that the young learnt to value the democratic freedoms they enjoy. “It is time the dark age of Emergency becomes a part of the curriculum so that present generations are sensitised to the dreaded events of 1975-77 and they learn to value the democratic and personal freedoms they enjoy today. “While our history books and textbooks talk of medieval dark days and the British Raj, the fallacious causes and consequences of Emergency is not made a part of the learning of the young,” he added. He stressed that a crucial lesson of Emergency was that it was the responsibility of each citizen to uphold liberties and freedom of fellow citizens and that “intolerance” should not be accepted.